UWI offers an impressive slate of post-graduate programmes and our graduates and researchers are at the cutting edge of contemporary scholarship. 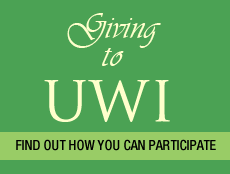 As the Caribbean University which is internationally recognized as a centre of excellence for graduate education and pre-eminence in Caribbean scholarship you can be sure that UWI will give you the support that you need to excel. Get all the information you’ll need to make UWI your choice for graduate studies at any of our four campuses.